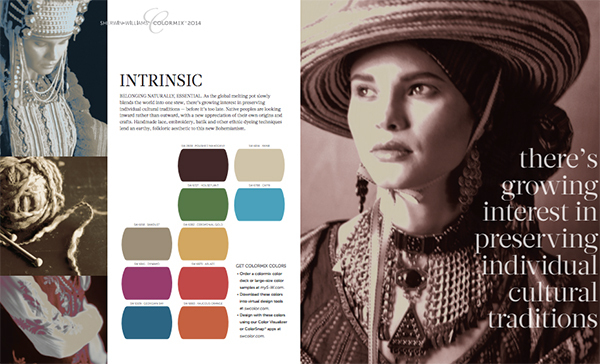 Many of the colors that are on trend right now are crossing borders and cultures. There is something about the colors that seems a bit exotic yet there is a familiarity that feels comforting. They are able to give us just what we need to keep one foot firmly planted on the solid ground at home while stepping forward with the other to explore something new and expand our understanding of other countries and cultures. There is depth to these colors and a warm, aged quality that feels as if they’ve been touched and loved by past generations. 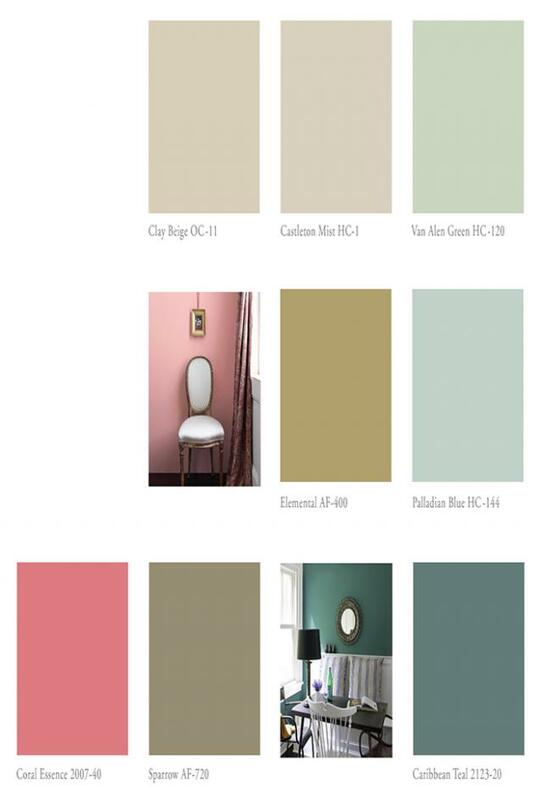 Our comfort with these colors provides a bridge for anyone wanting to move away from just using safe neutrals and add more color to their home. 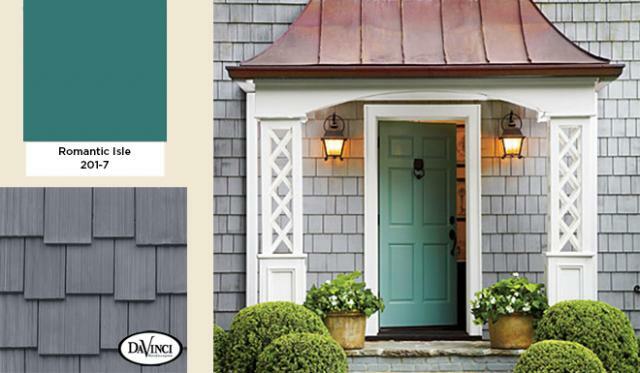 Green accents on an exterior never go out of style but instead of deep or forest green try grassy green. It comes across as more casual, friendly and welcoming. 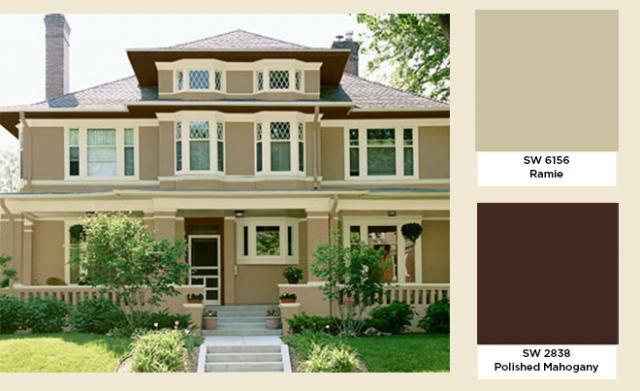 Benjamin Moore 2014 “New Neutrals” Trend Palette takes a slightly more toned down approach to these colors that work both inside and out. 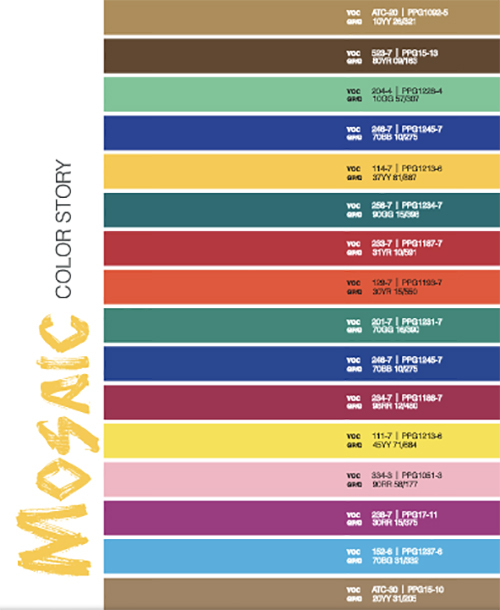 Many of these cultural colors are including in the Sherwin-Williams 2014 color palette called Intrinsic — “Belonging naturally, essential. As the global melting pot slowly blends the world into one stew” and what a lovely stew it is. 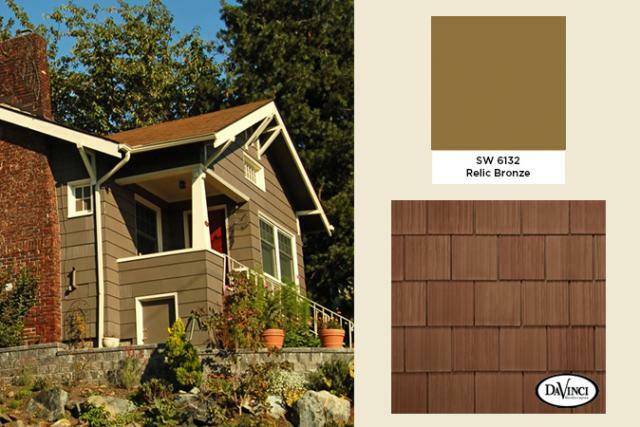 By understanding what is influencing the color trends you may find a story that allows you to express yourself perfectly on your home exterior. 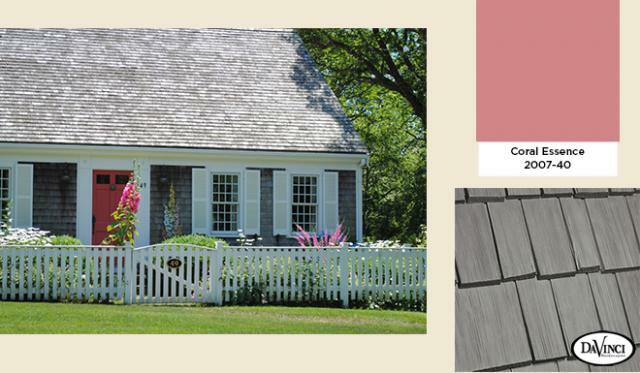 If the colors shown here aren’t uniquely you take a look at the other colors that are on trend for exteriors- –Everyday Elegance, A New Look At Blue, Orange, Pink and Red Hot— and find those that best express you.